It’s 10pm on a Tuesday night in October, and a phone call from the picture desk at The Times informs me that I will be getting up at 6am tomorrow morning, taking some warm clothes, lunch in a box and a lot of patience up to Littlehey Prison in Cambridgeshire. There, I am to join a handful of other photographers where we will continue to wait for the release of a high profile prisoner. Harry Roberts killed some policemen in the 1960’s and having cleared the parole board, will be released at some point. Nobody knows when. And so that’s how I found myself, one autumn lunchtime, sitting in a comfy chair watching Andy Murray play tennis on a huge TV as Lady Helen very kindly passes me a cup of coffee. The interview is running late, and Terry has asked me to choose some locations for the portraits while they finish. I have about an hour, so prepare 5 or 6 shots, test the lighting, run through the framing. So when he’s ready, I only need a few minutes to get what we need. We never really have the luxury of spending enough time with a subject, to try and show some of their individuality in a portrait. The best I can do is supply a variety of shapes, poses, expressions, and to try and build a little of the surroundings into the portrait. So here, I’ve varied the lighting a little, framed Terry within frames, and against plain backgrounds. I’ve shot wide enough to get a feeling of his office space, and tight enough into a dark room to give me the nicely lit, fairly straight portrait above. As a subject, he was utterly charming. Hospitable and accommodating to all of my requests to “try just one last shot over here”. 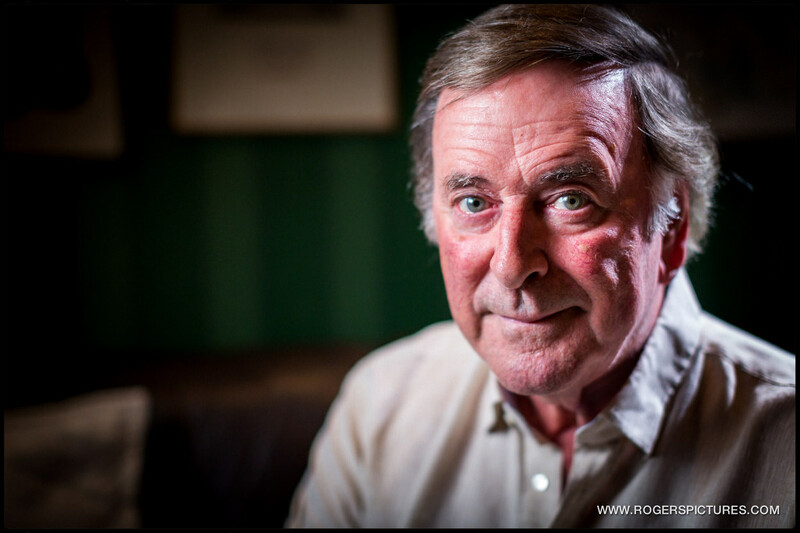 Photographing legends can be somewhat disappointing, but Terry Wogan lived up to every expectation one might have, having watched and listened to him for almost my whole life. 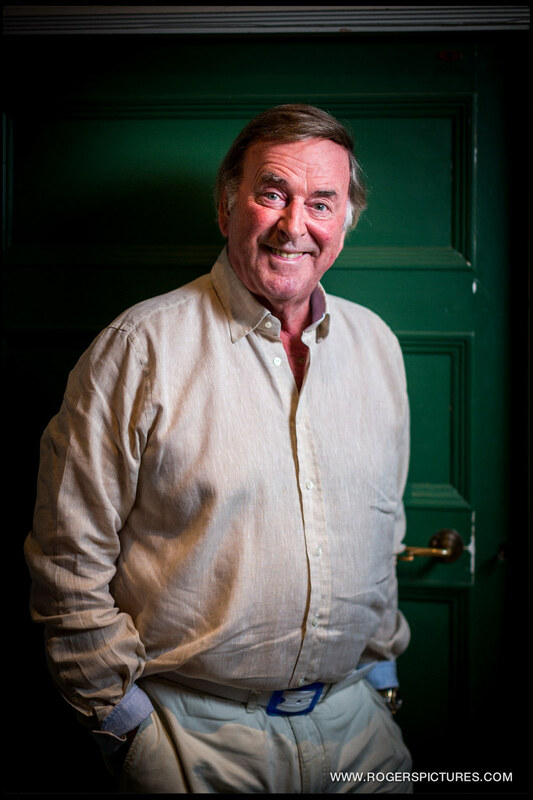 That’s one of the best parts of being a photographer for The Times – expect Harry the cop killer, get Wogan the living legend! You can see how they used it in The Times at the end. Have a look at the rest of my editorial portfolio, and here’s some more of my editorial Portraits, and heres other recent editorial posts.